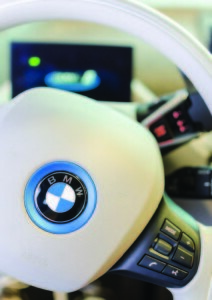 NOT TOO LONG ago I was driving to the office in the morning when a brand new white BMW 7 Series passed me. It was a beautiful car. And if I may say so, it was the ultimate driving machine! This vehicle made a huge statement about success and accomplishment: two things that we value highly in our western society, particularly in America. A few minutes later, I saw another white BMW drive past me, except that this was a 1990 model…same car, but it was more than 20 years older. The vehicle was in fairly good condition, but it was showing a little bit of rust and a faded coat of paint. I immediately reflected upon the temporal nature of materials things and the brevity of life. I was reminded of Matthew 6:19 and its message of accumulating treasures in Heaven and not on earth: Do not store up for yourselves treasures on earth, where moths and vermin destroy, and where thieves break in and steal. But storeup for yourselves treasures in heaven, where moths and vermin do not destroy, and where thieves do not break in and steal. For where your treasure is, there your heart will be also (Matthew 6:19-21 NIV). I must confess that in my past professional life, creating “wants and needs” was the focal point of mycareer. As an advertising executive, I spent 10 years in the advertising agency business creating ad campaigns that promoted consumerism for self-realization. I don’t think this is a sin. If people will open a checking account, they might as well open it with the bank I represented. If potential customers of one of our clients needed to buy a home, my job was to ensure that they considered our home builder client. All this is good as long as we as Christians realize that our energy and efforts cannot be solely focused as if we are going to live forever on this earth. We will pass on, and we will confront our eternity sooner or later. As I think about the cost of the call, I’m humbled by the faithfulness and sacrifice of our seminary students. They have decided to invest in God’s economy. A seminary education is not only preparation for this life but for the next. Our students are investing their finances to equip for ministry. It costs them money and time as they invest in their own spiritual formation as well as the ministries that God will entrust to each one of our students. They will become pastors, educators, counselors, church administrators, chaplains, missionaries and occupy many other positions in ministry, bi-vocational ministry or even in the marketplace. Our students will enjoy the fruits of their labor as they see people coming to Christ, as they bring marriages to restoration and as they help people to become freed from addictions. These benefits are immeasurable and incredibly fulfilling for those called to ministry. Yet there are benefits promised to us in Heaven…treasures that will never get rusty, like the 1990 BMW. All I can say to our students and alumni, and to all of those who support our education ministry at Ashland Theological Seminary is thank you! 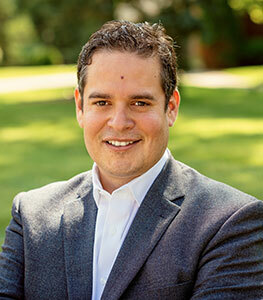 Roberto Ponce is Associate Vice President of Marketing and Recruitment at Ashland Theological Seminary.